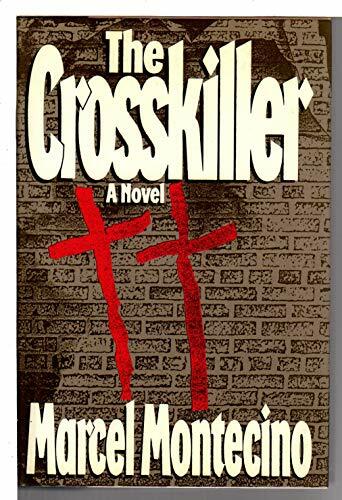 The Crosskiller by Montecino, Marcel: MORROW 9780877959083 Hardcover, First Edition., Signed by Author(s) - Vagabond Books, A.B.A.A. An unhealthy layer of smog hanging ominously over the streets of Los Angeles neatly sets the mood for this dark, gritty thriller. To punish police Lt. Jack Gold for a bust gone wrong, his superior pulls him off the homicide squad and reassigns the veteran officer to a low-profile task force looking into a rash of racist graffiti. Shifting a cigar from one corner of his foul mouth to the other, Gold takes to his new duties reluctantly until the street artist turns psychopathic killer. The sudden splashes of violence tend to be overplayed in this first novel, and characters lean toward caricature. Gold himself is the familiar tough-talking maverick with a bad past and a future that's not much better. His life is empty, his job is going nowhere, and, while his soft-hearted daughter reveres him, her witless husband brings a load of trouble crashing down on them one and all with his white-collar Hollywood drug deals. Montecino is at his best in laying down a series of strong subplots that gradually converge, gathering momentum all the way to a grisly finale. <br />Copyright 1988 Reed Business Information, Inc.